USA CO2 emissions fall 7.7% | Watts Up With That? How big is a cut of 430 million tonnes of CO2? It’s equal to all CO2 from all Canadians outside Alberta. From a US perspective, it’s equal to eliminating the combined emissions of ten western states: Alaska, Washington, Oregon, Idaho, Montana, North Dakota, South Dakota, Wyoming, Utah and Nevada. India’s emissions rose by 140 Mt, or 8.7%, moving it ahead of Russia to become the fourth largest emitter behind China, the United States, and the European Union. Despite these increases, per-capita CO2 emissions in China and India still remain just 63% and 15% of the OECD average respectively. CO2 emissions in the United States in 2011 fell by 92 Mt, or 1.7%, primarily due to ongoing switching from coal to natural gas in power generation and an exceptionally mild winter, which reduced the demand for space heating. US emissions have now fallen by 430 Mt (7.7%) since 2006, the largest reduction of all countries or regions. This development has arisen from lower oil use in the transport sector (linked to efficiency improvements, higher oil prices and the economic downturn which has cut vehicle miles travelled) and a substantial shift from coal to gas in the power sector. CO2 emissions in the EU in 2011 were lower by 69 Mt, or 1.9%, as sluggish economic growth cut industrial production and a relatively warm winter reduced heating needs. By contrast, Japan’s emissions increased by 28 Mt, or 2.4%, as a result of a substantial increase in the use of fossil fuels in power generation post-Fukushima. The USA unintentionally achieved Copenhagen style reductions through a combination of economic factors, a change to natural gas, and some dumb luck. It has nothing to do with listening to the shrill whining of people like Bill McKibben and Joe Romm, and the politicians who repeat that shrillness. CO2 emissions reductions in the “Western World” – Europe, USA, Australia, Canada, etc. – will not play a significant role in worldwide CO2 emissions reductions, let alone contribute to achieving a reduction in atmospheric CO2 concentration. This message needs to be repeated loud and clear. 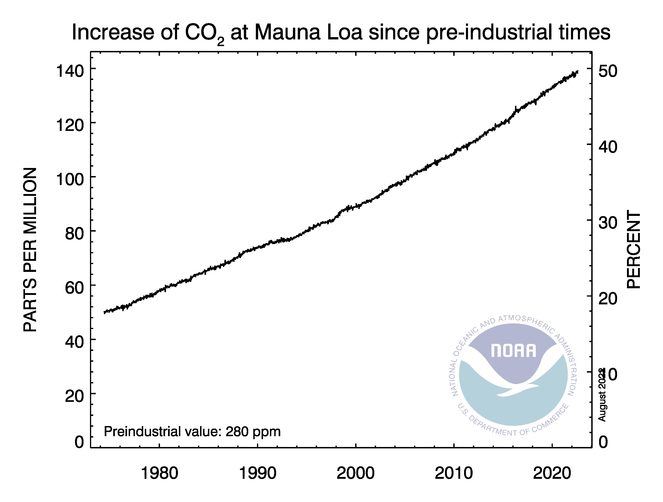 People need to get used to a CO2 concentration of 400 ppm and higher. And get on with trying to solve real problems. yes: as a great and worshiped commentator on alll things polluting and economic i hereby decree that the best way to reduce all global warming is DEPRESSION!!!!!!!!!!!!!!!!!!!!!!!!!!!!! Unintentionally? I think the transfer of jobs and wealth to China was intentional. China: Welcome to China millions of manufacturing jobs. Hopefully with a change in Administration this November we can reverse this decrease. Cutting EPA regulations and a more friendly business climate may start up the American economy. The Scientists at Princeton University at the beginniing of the 21st Century established by measurement that North America is a NET CARBON SINK, bio-sequestering more CO2 then Man and Nature emit combined, in North America. This is also true to a much lesser extent in South America too. The EPA’s one sided estimates of Man’s 3% or so of CO2 emmisions never include any bio-sequestration figures. Not all of it is Natural forest and grassland bio-sequestration either. America’s farmers plant crops which bio-sequestrate as they grow. So do the managed, replanted forests and woodlots of the forest products and paper making companies. Only the greens who go out of their way to not include this data in a purposely misinformative campaign, do not know that,while lying to themselves. America, the Exceptional Nation, showed that its advanced industrial civilization can coexist with out polluting the environment as its Air grows increasingly cleaner, its Waters are now essentially clean, and its GHGs emissions are more than completely handled. I was under the impression, Anthony, that you did not believe that the burning of fossil fuels, which releases CO2 into the atmosphere, was even a concern at all. Reading this post by you drives me to ponder this question: In your opinion, is burning fossil fuels, and thereby increasing the concentration of CO2 in the atmosphere (ceteris paribus), a good thing, a bad thing, or doesn’t matter? I have a good idea how Bill McKibben and Joe Romm would answer that, but after this I don’t know how you would. Yep, when people don’t have the money to go anywhere they stay home. Duh. Make that killing US bureaucracies and burying them instead of burying CO2. Much better for the USA, the world and plants too. Look at the dip in 2009. The CRASH drove that! When enough people are out of jobs, that’s when “civil unrest” starts. That’s when countries start eying each other’s resources with a view to taking them by force. That’s when people can’t feed their kids. That’s when everything bad about human history starts to take root, and kills in numbers that climate change alarmists cannot seem to fathom. Dropping energy consumption is a bad thing. A very, Very, VERY bad thing. Ironically, it was an extremely harsh winter in the USA that year, and yet the USA did better than Europe. I think they are just making stuff up as they go along, half the time. Hmm….. dumb luck? Dumb, certainly. Luck? The mild winter probably didn’t have anything to do with carbon emission decreases. Recall the mild winter also accelerated the spring highering and working. You know, that fabulous 1.9% increase in the GDP we saw last winter. It’s simply reflective of the horrible economic experience we’re having, and will continue to have until people realize we need wealth creation. We don’t need to fiddle with our tax code up or down. That just moves money around. We don’t have any money to move around. Yea! Large scale unemployment is the answer!! Just put 25% of employable teenagers on the street corner instead of working, force lots of baby boomers to retire early because they can’t find a job after being laid off, make the job market so tight that millions simply give up looking for work and stay home living on unemployment or their still working spouse, and keep about 8+% of the employable adult population out of work so they sit at home instead of buying fuel to get to work. Then jack fuel prices so folks plan on staying home instead of driving or flying someplace for vacation and you dramatically cut fuel use for transportation. Oh wait that is not a good idea. I’m afraid to read it. The Scientists at Princeton University at the beginniing of the 21st Century established by measurement that North America is a NET CARBON SINK, bio-sequestering more CO2 then Man and Nature emit combined, in North America. Measuring is rather different from estimating or calculating. There dosn’t appear to be any mention of measurement in the IEA article. Sirrah, i hate to say it, but some parts of the country have pretty dirty water in the rivers, streams and estuaries. a friend of mine was preparing the battle ship iowa for tow at the mothball fleet anchorage and they tried to sound the water around the ship. once the tape measure with a plumbob got a couple of feet below the surface of the water they couldn’t see it for the gunk in the water. mind you this is in the area where the nitwits and politicians are in full cry about saving the critters, ugly looking fish and various miscreants from the “bitter clingers” who pose a terrible threat to their way of life and entitlement payments. In regards to the question by Phil C: Is burning fossil fuels a good thing, a bad thing or irrelevant? It is obviously an extremely wonderful thing. Perhaps you meant to ask if the c o 2 emitted from burning fossil fuels was good bad or irrelevant. in my opinion, increasing c o 2 is a good thing right now. the climate change from CO 2 is likely too small to measure and plant fertilization is obviously good. Exceptionally mild winter? Winter 2010-2011 was another cold one in the USA. Spring was late, cold and wet with farmers planting very, very late. Winter 2011-2012 admittedly was very mild in the USA compared to the previous three. 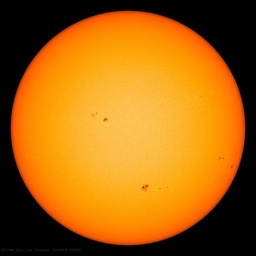 But I wouldn’t necessarily expect a comparable repeat of this recent mild winter until after the next solar minimum ends. First, thank you for forcing me to look up ceteris paribus (and I edited your reply to add the definition). By adding that clarifier you add a whole new depth to your question. You now imply that there are other items that can have an effect on the climate, and ask about CO2, with all other factors being equal or held constant. People have been saying that the U.S. should “take the lead” in reducing their emissions. Looks like they have. Question is, will the rest of the world follow suit? Jayhd: Don’t count on Romney to change anything. My betting is that he will make the EPA even worse. EPA is VERY GOOD for big corporations and the financial sector. It’s murderous to small business and actual humans. Now this is an article about oil. US per capita oil consumption is down 16% since 2005, essentially due to a flat oil supply and surging Chinese demand. The Chinese (and other emerging economies) are simply bidding our oil consumption away. In early 2008, I forecast this trend at a 1.5% annual reduction in US oil consumption, and we are right on trend. This decline shoiuld not be construed as a virtue. It depresses activity, with 1 car in 7 and 1 airline departure in 3 missing compared to trend. I would argue that it is the primary reason the US and European economies continue to struggle. Coal is far from dead. In fact it is an important US export to places like China. There are more coal-related US jobs presently than there have been in some time. The real killer of coal jobs in the US has been the gradual shift to natural gas for power generation (more recently) and to petroleum including gasoline and diesel from about the end of the 19th century onward. Also, there has been much lower steel production since we now use a majority of recycled steel where steel is needed. That has put a huge crimp in iron mining, and steel refining which relies on coal for coke and consequently reduced domestic demand for coal in that sector as well. Manufacturing jobs are a completely different story. The US Copenhagen Pledge stated that the US would reduce CO2 emissions by 17% by 2020 **IF** Congress passed legislation requiring it. Since Congress has not and will not pass such legislation there is, in fact, no pledge. The pledge is no more the cause of the drop in emission than CO2 is the cause of CAGW. Coal is far from dead. In fact it is an important US export to places like China. There are more coal-related US jobs presently than there have been in some time. Do the math, coal production is down but there are ‘more’ coal jobs then ever…which means it costs more to dig it out of the ground. Coal mine productivity in the US has dropped. Coal mine productivity(tons of coal per employee hour) East of the Mississippi has gone from 4.18 tons per hour in 2000 to 2.85 tons per hour in 2010. Between 1980 and the year 2000 coal mine productivity increased each year…since 2000 it has decreased each year. ahhhhh well actually you can’t – – – – It is continuing the same monotonic rise. Shows how little 430 mega tons is – or how perhaps what a poor metric the Mauna Loa record is. But we are now over 400ppm and not warming. if these stats reflect the use of energy, which correlates with productivity, that implies a very significant drop in the gdp. someone imagines romney will be different? no different than the silent ‘scientists’ who never protested the fraud of their compadres, thus becoming collaborators, all statists of all stripes are out for the same thing. if somebody craves hope and change – well, be a bad boy and maybe santa claus will bring you some coal. that’s a hell of a lot more realistic than paying taxes and voting which has been historically and irrefutably demonstrated to plunder and destroy wealth,. those who believe it can be different are simply acquiescing – and at root, it’s not courage or rationality driving this religion of ‘voting for a change’. there is not now and never has been any evidence to support such a belief. it has been falsified every single time it has ever been tested. Some of the decline in emission (and, unfortunately, it cannot be measured) is directly attributable to the partial evisceration of the U.S. economy by the EPA. US fleet fuel efficiency is increasing as well, and will continue to do so. That also helps. Ya know, the numbers reported for mans various contributions to CO2 emissions are not much more then guesses. They are even less trust worthy then the average global temperature deviation or global ocean PH. Considering the political bent of most of the people producing these numbers, I would not put much stock in them. President Abomination promised to cut CO2 emissions, and by God, he’s doin’ it. The participating states of the Regional Greenhouse Gas Initiative have cut their CO2 by 20% and it doesn’t seem to have “eviscerated” their economies. @Gail Combs Publishing a number for the entire country is misleading. You’d have to make a comparison with states that are in RGGI vs those that aren’t. I grant that the true unemployment numbers are higher than the official totals, which is always the case. If the US ever gets it’s act in gear your emissions will ramp back up. I can hear the SUVs revving from nere. Look at the homeless numbers in the USA. No home, nothing to heat, no car to drive. Lots of CO2 saved. The problem is that there is a tax on homes. There should instead be a tax on homelessness, and thereby stamp it out. Make the tax on homelessness really high and we can stamp out homelessness over night. Next, we should stop taxing legitimate businesses, and instead tax crime. By taxing business we are discouraging business. We should instead just tax crime and thereby encourage business and at the same time get rid of crime by making the tax on crime really high. Right now most criminals pay no tax which simply encourages more crime. Instead of taxing companies in the US, the US government should start taxing companies in China that make things to send to the US. Coupled with ending taxes on businesses in the US, that would drive a lot of companies in China back to the US. Well, if it will work for CO2, why not for jobs and homelessness? Not true. Checking the facts their numbers are out of whack. Their claim is that they have cut CO2 emissions by 18% as compared to 15% for other states. The 3% difference being 20% of 15%. (see sources below). Which means according to their numbers, that the entire US cut CO2 emissions by 15% over the past 10 years, without any need for emissions programs, or their numbers are wrong. A recent study by researchers at Stanford University found that 22 percent of Chinese emissions resulted from the production of goods for export. The study also found that the manufacture of goods imported by the United States was responsible for 190 million tons of carbon emissions per year. If emissions totals were adjusted to account for Chinese exports and U.S. imports, the United States would again be the world’s leading emitter. In other words, US CO2 production hasn’t decreased. It has simply moved to China along with the jobs. is burning fossil fuels, and thereby increasing the concentration of CO2 in the atmosphere (with other things the same), a good thing, a bad thing, or doesn’t matter? Your question is predicated on the assumption that change can be good, bad, or indifferent. Sorry, but the real world isn’t that simple. If the stock market goes up today, is that good, bad, or indifferent? If you sold it short, then for you, it is bad. If you sold long, it is good. If a company restructures, reduces itz costs by 20%, and the stock rises, is that good? If you are one of the employees that lost their job in the restructuring, itz probably bad. If you’re of the employees that gets to have a secure job in the long term because of the restructuring, then itz a good thing. If you sold that stock short, itz a bad thing. If you make your living counselling people who are depressed because they got laid off, itz a good thing. Now consider that next to the complexity of the ecosystem, the stock market is a rather simple thing. There is no blanket answer to your question. Change is not good or bad, it is simply change, and good or bad is entirely a matter of perspective. 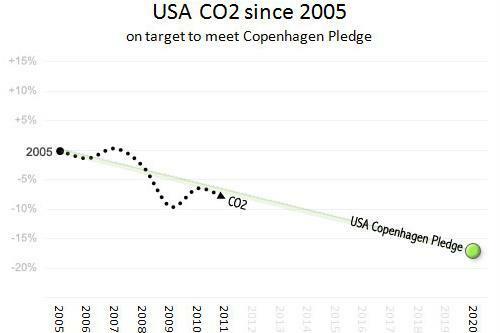 The US Copenhagen Pledge stated that the US would reduce CO2 emissions by 17% by 2020 **IF** Congress passed legislation requiring it. Since Congress has not and will not pass such legislation there is, in fact, no pledge. There *is* a pledge, but it’s Obie’s — it’s worth no more than any of his other bloviations. CO2 reduction results from economic slowdown. CO2 reduction causes economic slowdown. Depending on whether you are of a pro-survival or an anti-survival (=green GAIAist) bent, this is either a vicious or a virtuous circle. If we wish to feed the expanding human population to the levels that the West is used to, we need more atmospheric CO2 for enhanced crop growth. CO2 itself is not a problem to the planet since historic levels were far higher than today. CO2 is a problem for those activists who want to get money without actually working. While many need more and better nutrition, feeding the world to the levels of the West is hardly advisable. Looking at the class pictures of my local schools paints a shocking portrait at how obese our society has become, in just 3 decades. And many other countries have followed suit. To me, it looks like a calculation, not a measurement. If CO2 is “pollution,” then so is H2O – and fine particulate matter. Anyone notice that they’ve defined the word down to including the earth and everything in it? Bull. I sympathize. On the plus side though, it will probably make excellent birdcage-lining material. The bird can get a laugh while doing its business. Win-win. He was asking for Anthony’s opinion. But as others have observed, the long geological historical trend is for all CO2 to end up as rock, courtesy of the plants and phytoplankton, who thereby starve themselves and us. So in a pure pro-survival sense, burning fossil fuels, and coking limestone etc. to release CO2 from its entrapment, is a positive. If your ideal is a pristine dead rock, a bad thing. I’m with the first option. fallacious question. he has dropped the context. truth only exists in context. such questions are posed by those who have no understanding of values. and, unfortunately, it can only be recognized as fallacious by those who do understand the nature of values. so who else caught it? Nah, science and technology will transform the whole issue. Even now, for example, work on hormones and enzymes which activate and multiply “brown fat” (fat cells with excess mitochondria which burn blood sugar at accelerated rates, producing heat) are in development and testing. The effect will be to slim down anyone who needs that, without altering diet. The food energy will evidence as heat to be dumped from the skin, reducing the need for clothing. The spin-off consequences will be wide-ranging. The only fat people will be those who want to be. Sumo wrestlers will take extreme precautions not to let their opponents slip any of the medications into their diet, lest they become involuntarily slim. Etc. Reductions in Man-Made CO2 emissions in North America have been on a steady downslope for the ENTIRE 21st Century. Now it may be facile to declare that it is due to the extended econmic downturn, but that has been true only since late 2008. Some small portion may be attributable to that recession, bu the downslope has been pretty consistant and predates the bad times.Sorry eco-Doomsters your answer is at best only partially correct. CO2 is a necessary plant food and the Plant Kingdom has been very successful in eating a dangerous proportion of this necessary trace gas out of the atmosphere. To the degree that Mankind re-releases some ot the atmosphere is wholly benign. So it doesn’t matter at all. There is no amplification of the CO2 warming by water, as every real researchprogram and data reveals, while thier eco-Doomsters rely on their erroneous models, wiht a positive feedback programmed in, that does not act like the real world. The thesis that we have exported the pollution to China along with our businesses, may have more of a kernal or Truth. But still North America bio-sequestrates not only its own CO2 emissions, it bio-sequestrates a quite considerable amount blowing in on the prevailing winds from Eurasia. The great differential is that our eceonomic systesm rewards productivity and efficiency improvements, by contributing to profits. In addition, our manufacturers are forced to become more efficient, facing overseas competition, and lately that even includes returning businesses closer to their customers, with the result that some reverse flow of business back to America is occurring. A substance may be natural or necessary and still have harmful effects. Hydrogen sulfide is produced and used by the human body and is believed to have helped spark life on Earth. Do you think it would be beneficial for it to be as prevalent as CO2? It’s apparent that many WUWT regulars believe that various natural mechanisms act as a brake on warming. Wouldn’t that also be true for CO2? That natural factors would prevent it declining to dangerously low levels? The H2S comparison is inane. The entirety of plant and animal physiology is built on carbon chains, not sulfur ones. The raw material was drawn from the CO2 in the atmosphere, originally hundreds or thousands of times more prevalent than now. The natural “brake” is starvation. It behooves us to release as much CO2 as possible from sequestration in rock and hydrocarbon liquids as possible, before the plants eat us out of house and home! For a very long time, while our backwards ancestors scratched out a meager existence, plant life flourished while the human population grew slowly. But the animal populations were very numerous and they, the plants and humanity tumbled through the natural cycles, despite all that sequestered stuff of life. What’s so different about modern times, that a massive CO2 dump is necessary? The fauna are few and trivial compared to the flora. Our most prolific representatives are perhaps the termites, but even they can’t keep up. In any case, the fact is that the flora can and did drive CO2 down to their own starvation level. Only Modern Mankind has the power to unwind some of the millennia of millennia of millennia of suicidal sequestration. Forward! What level of CO2 is the starvation point? Roughly how many years is “millennia of millenia of millennia”? Tens of thousands? Millions? A billion? Since there were Ice Ages across many periods of Earth’s history, did the “suicidal sequestration” cause them?